Automatically update your MailChimp subscriber lists directly from your Wufoo forms. MailChimp is an email marketing service that has over 15,000 customers, manages over 65,000 opt-in lists containing over 75 million subscribers, and delivers millions of emails a day. 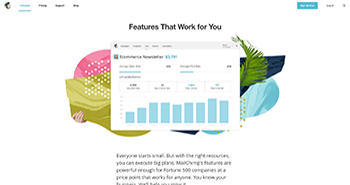 MailChimp is easy and affordable enough for a small business to get started, but powerful enough for a large company that’s looking for an enterprise level solution.